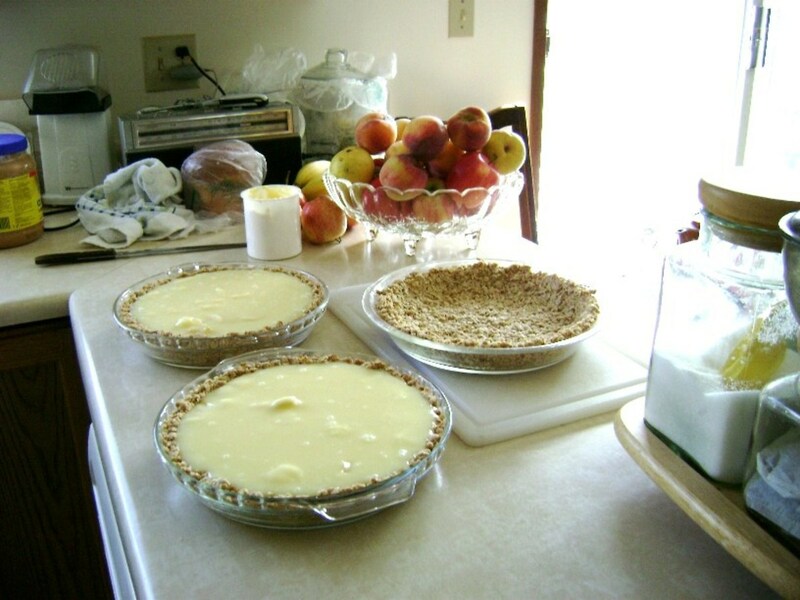 I have worked in busy restaurant kitchens as well as in busy home kitchens. A quality knife set is an essential part of any cook's tool kit. 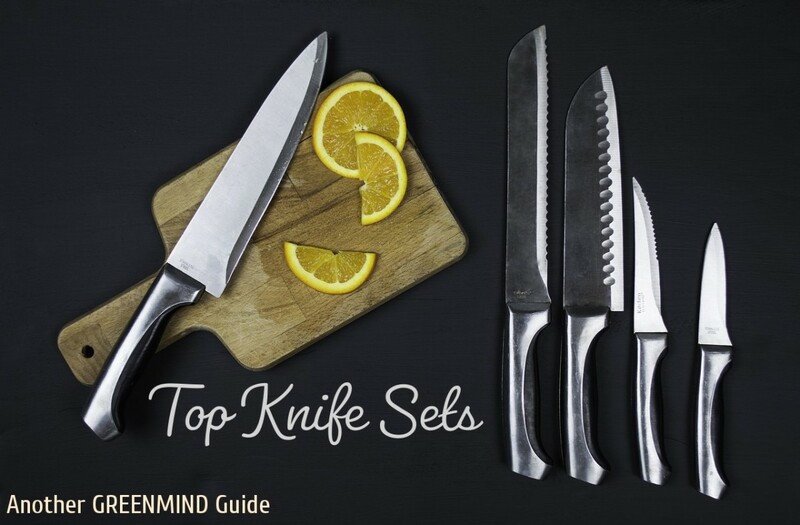 This guide organizes and summarizes ten of the best kitchen knife sets available, based on reviews, features, and personal experience (see "Resources" section for sources consulted). My own time in the kitchen ranges from work as a line cook at a busy restaurant to more than 20 years as family chef, and over the years I have learned how to prepare food and seen first-hand the proper implements necessary to do it right. Features such as blade composition, design, handle durability and balance, stain/rust resistance, and value are considered in this list. I have also included brief explanations of the various blade options, from traditional, time-tested high carbon steel to the more modern ceramics. 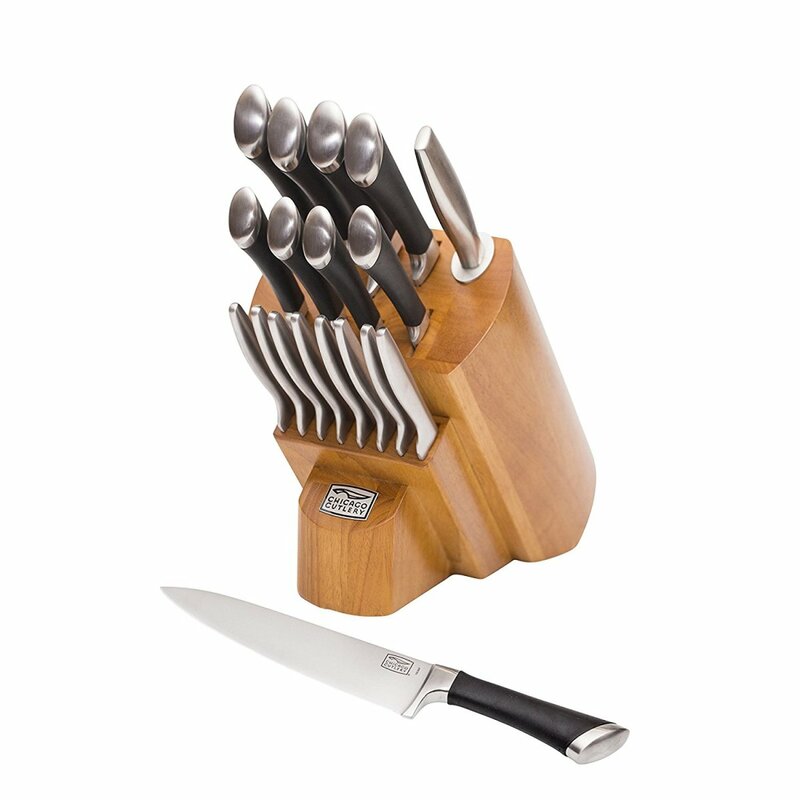 The purpose of this list is to bring together the real-world value of a variety of knife sets. Careful consideration of the features of each blade is expected by the buyer. Swivgo makes high-end knives for a very reasonable price. 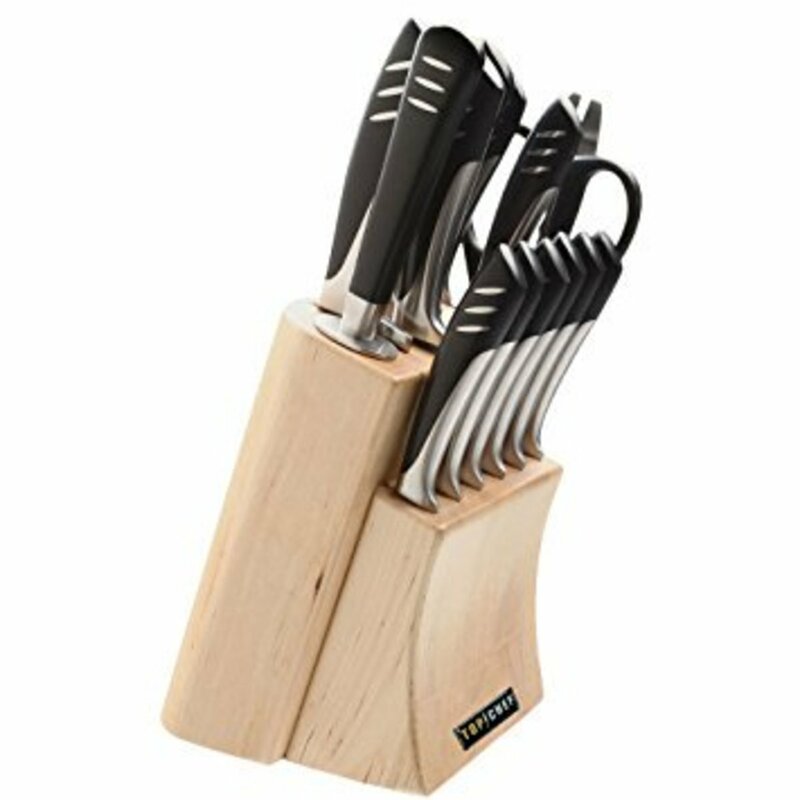 Their high-carbon stainless knife set is one of Amazon's highest-rated knife products, with reviews focusing the durability of the blades, which are resistant to both tarnish and rust and are known for being easy to clean. This Swivgo knife set has extraordinarily high quality blades -- the material is 420 grade 3Cr14 high carbon stainless, which places this set in the group of high-carbon stainless hybrids. 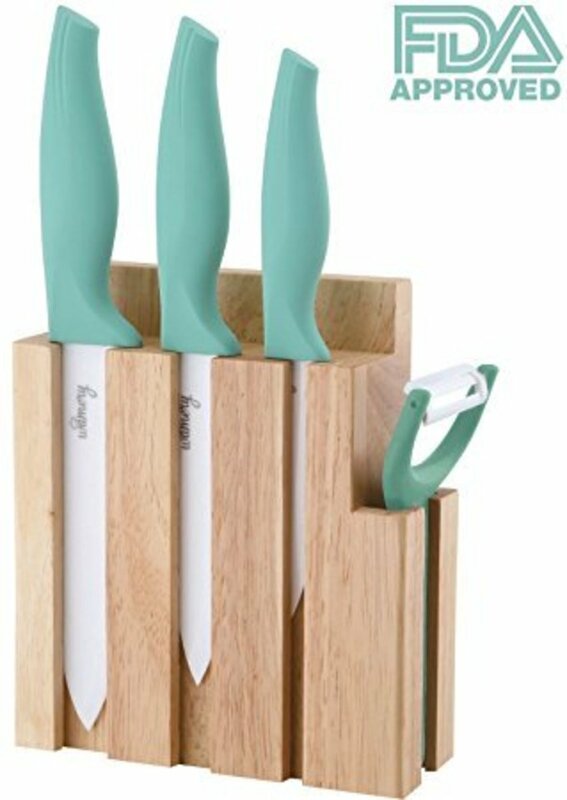 This Swivgo knife set features full-tang construction, a necessity for an serious cook. Swivgo recommends hand-cleaning, and offer a relatively detailed cleaning process that includes a lemon-juice wash. This reflects the fact that they're a high carbon/stainless hybrid material and are not designed for casual cooks who are unlikely to give them the care they deserve. 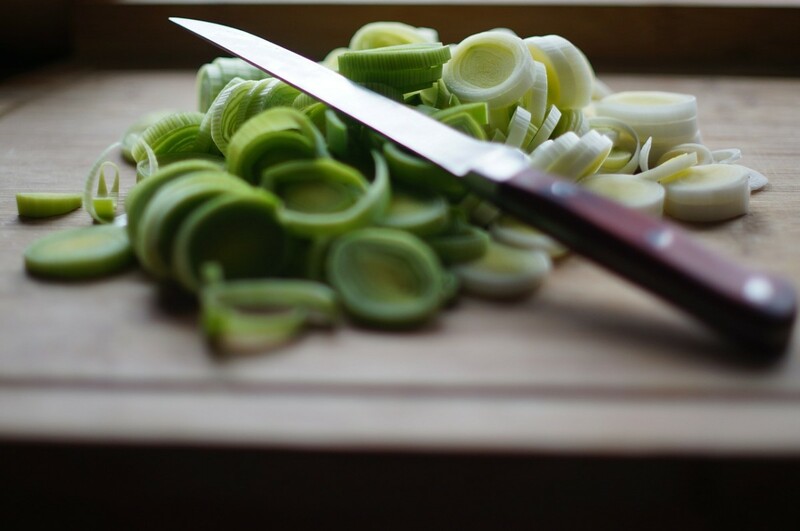 Cuisinart products can be found in professional kitchens as well as home kitchens, and in my experience their knife products are solid, well-crafted, and durable. If you're like me, you can't always give your blades the time they deserve -- and this Cuisinart knife set is very forgiving. If you leave it to soak overnight, or slice a tomato and don't immediately wash the acid-rich juice off of the blade,the world will not end! 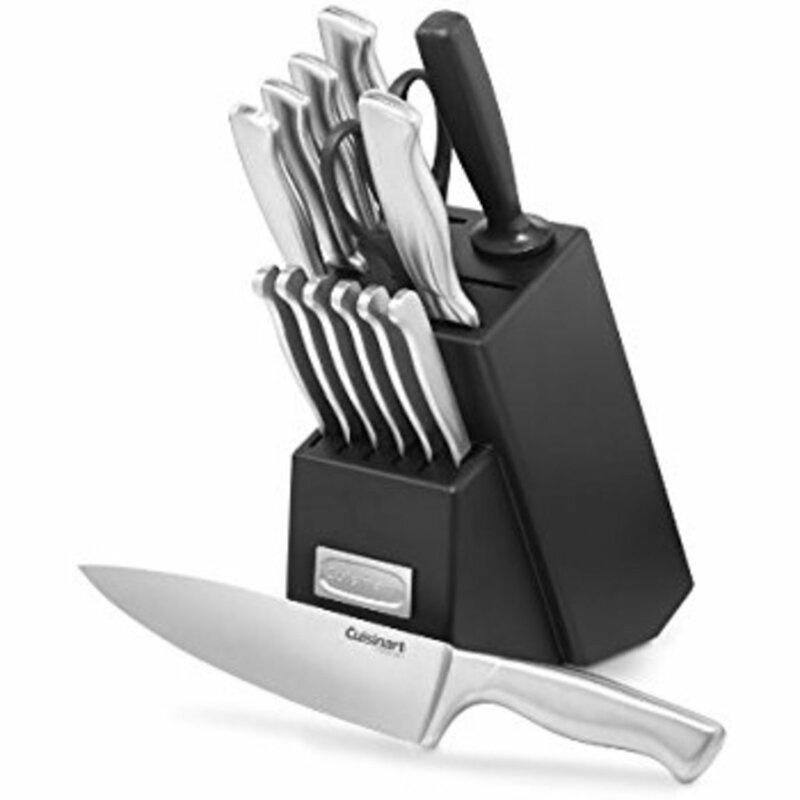 Since Cuisinart is one of the most recognized names in cookware and small appliances, it's no surprise to find that the company also offers a great range of knife sets. This particular set of ceramics is a good-looking, well-balanced set of knives that is both practical and durable. Many modern-look ceramic knife sets are designed to look bright and appealing, and these knives may even look like toys, or at least something no self-respecting chef would use. But I have years of kitchen experience and I use these knives all the time. The blades are the real deal and possess metrics comparable to the best sets on this list. Ceramic blades are harder than steel -- approaching diamond in hardness -- and they hold an edge forever. Reviewers point out that the bright colors of ceramic blades can make them look like toys, which they are most definitely not. The colors can be used to color-code use, and avoid cross-contamination (for example, using the same knife for raw chicken and salad vegetables, which can cause serious illness). I'm picky about the look of my kitchen counters, and for that reason this set appeals to the designer in me. The clean, appealing "swoop" of the Imperial Collection is a really nice touch! It doesn't hurt that this set is highly rated by several sites. These blades undergo extensive testing in kitchen environments and, according to the company, use material sourced from eco-friendly materials. For some users, that will carry a lot of weight. External reviewers highlight the durability of the non-stick stainless steel blades and the balance of the larger knives, which require less hand and wrist strength. From my experience, this can make a big difference if you have, for example, ten pounds of onions to chop. 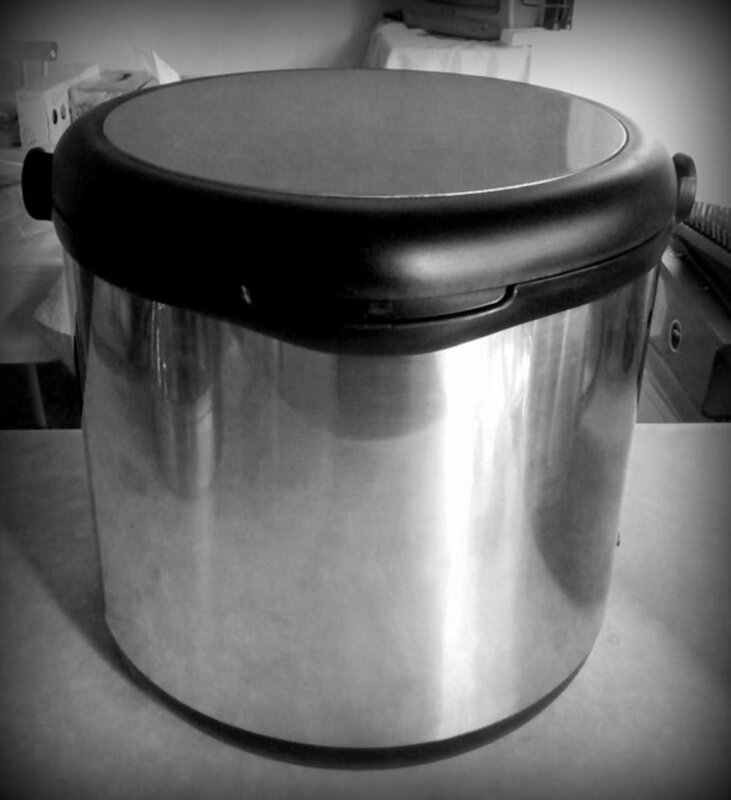 Stainless steel is, as you might expect, resistant to stains. 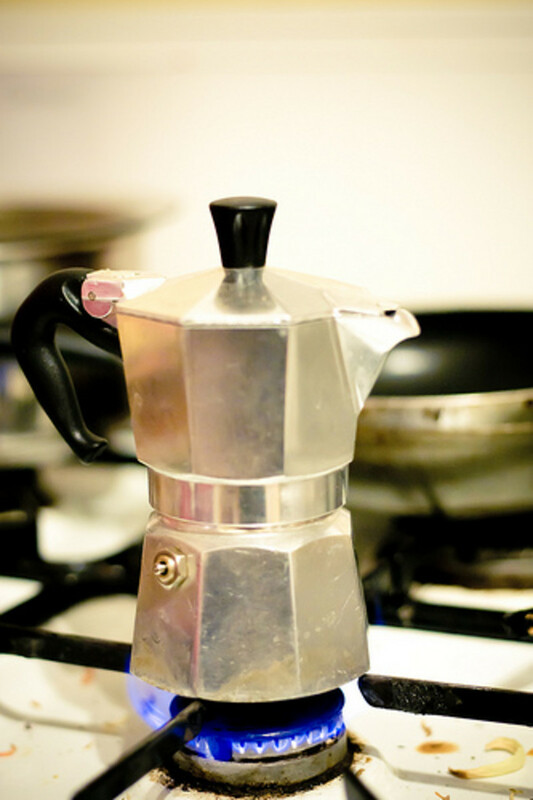 It was developed in response to the tendency of high-carbon blades to rust and to show discoloration from exposure to acids, such as juice from lemons or tomatoes. These knives can be tossed into the dishwasher, not an unimportant quality if they are used in daily food preparation. The trade-off is that stainless does not typically hold an edge as well as HCS, so what you gain in convenience you lose in maintenance of the edge. This good-looking, highly rated knife set is made from 420 grade stainless steel and includes an 8-inch chef knife, an 8-inch bread knife, and an 8-inch carving knife. 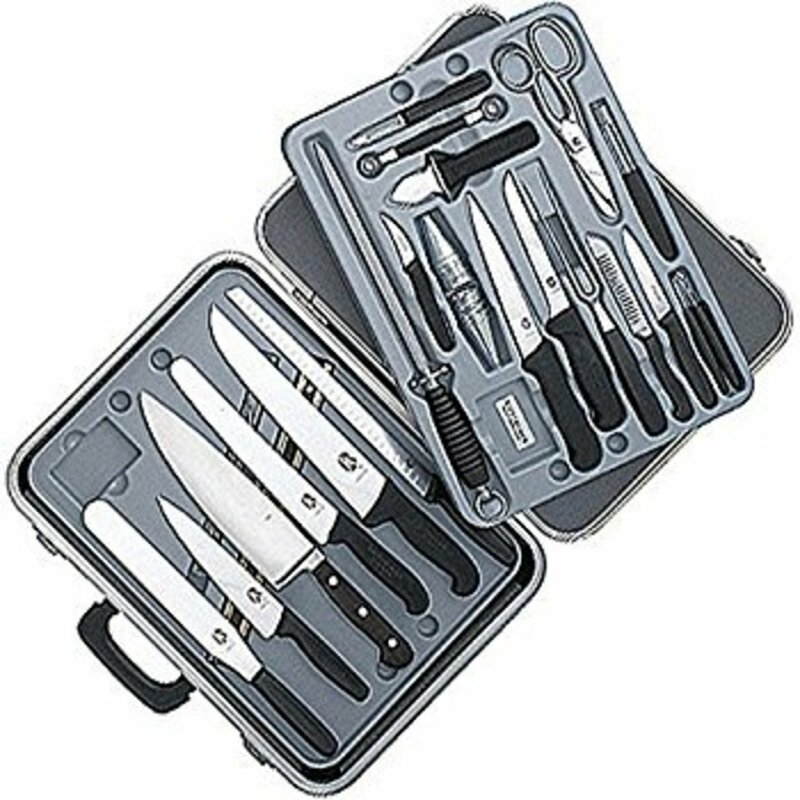 Also included is a good set of steak knives -- put it all together, and this knife set is an excellent value for the price. One-piece, through-blade design is an added bonus, since there's a good deal of stress at the tang (where the handle connects to the blade) and I have had otherwise usable knives simply break from repeated use. As the company says, these knives are a solid one piece stainless steel design so you don't have to worry about handles falling off! Reviewers have focused on the Utopia Kitchen knife set's look of the blades and handles -- a "very traditional black and steel finish... 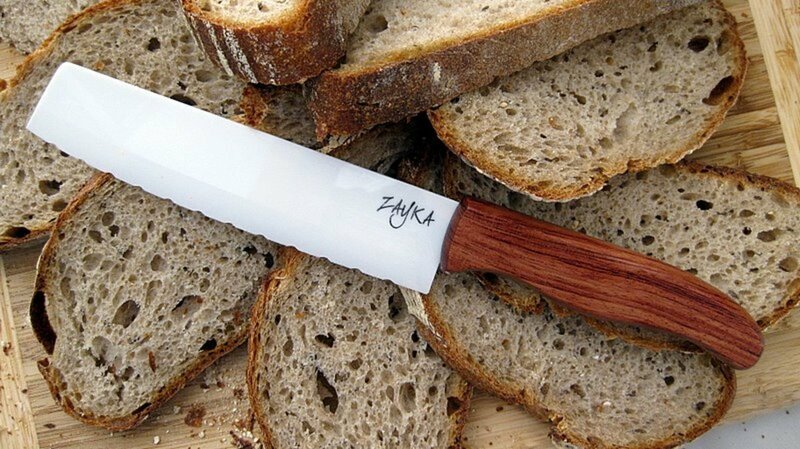 The blade of each knife is made from stainless steel so they will not rust or tarnish, and each handle is made from water resistant, flexible polypropylene plastic." 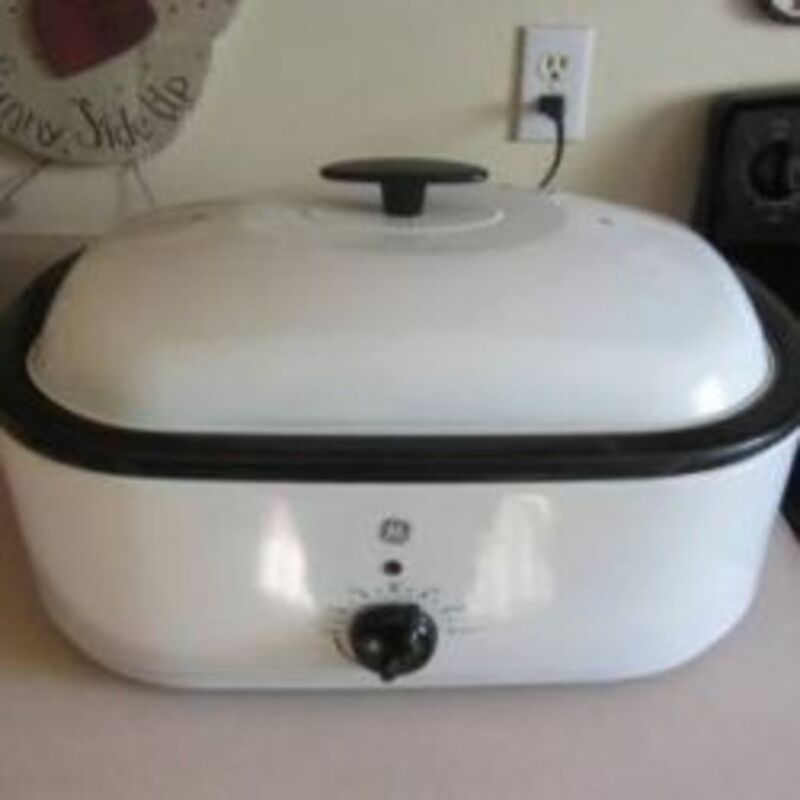 This plastic composition is recognized as being resistant to many chemicals and acids. In my kitchen, clean-up is a serious process, so resistance to a variety of cleansers is a bonus. Victorinox is among the super-premium blade manufacturers. Although I have never owned a set, I have had the privilege of working with Victorinox blades. Their reputation is well-earned. The knife is perfectly balanced, the handles feel great in the hand, and the edges are essentially surgical. 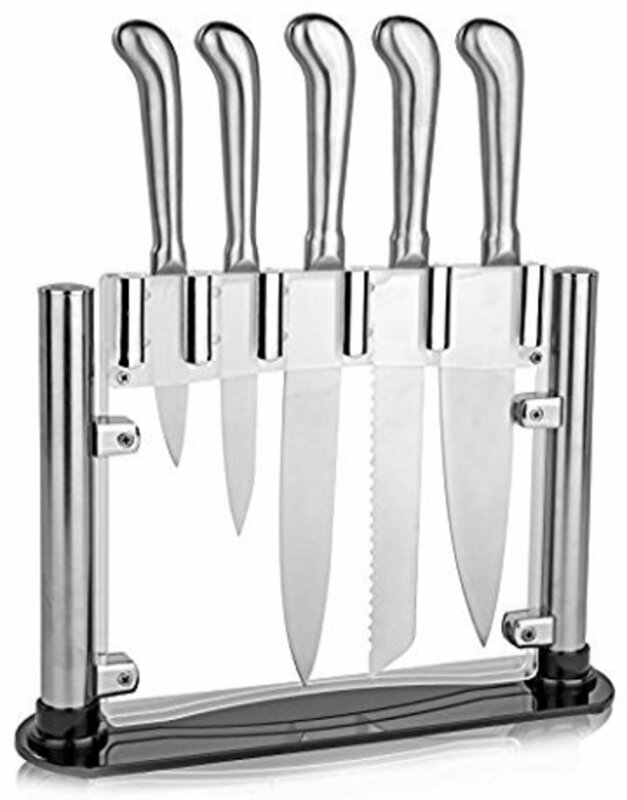 This 24-piece knife set has spectacular reviews and professional features. It was designed for professional chefs but is appropriate for serious home chefs as well, and it is also the most expensive set on this list. If you are deadly serious about your next knife set, then the Victorinox 24-piece should get a serious look. The set is extraordinarily complete, with 10 assorted icing funnels; 10 assorted icing decorators, a forged decorating knife, and stainless-steel shears. Because these are professional-grade knives, they require hand-washing and conscious care. This is another of the new-style ceramic sets that are becoming more popular. I like ceramic knives for the extreme sharpness of the blades, which need oly occasional sharpening. 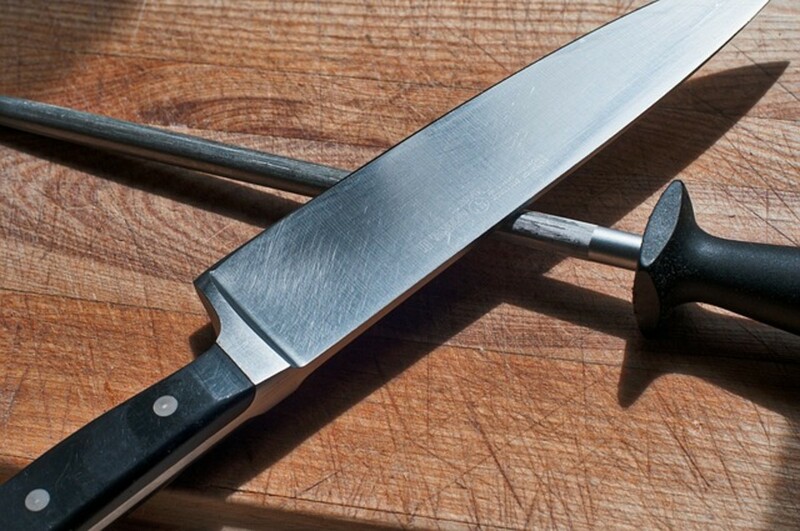 Ceramic knives have an edge harder than steel, and they are impervious to stains. This set is well-reviewed for its style and quality, as well as the antibacterial feature. If you or someone you're cooking for has a compromised immune system, or are allergic, then this set may be appropriate. 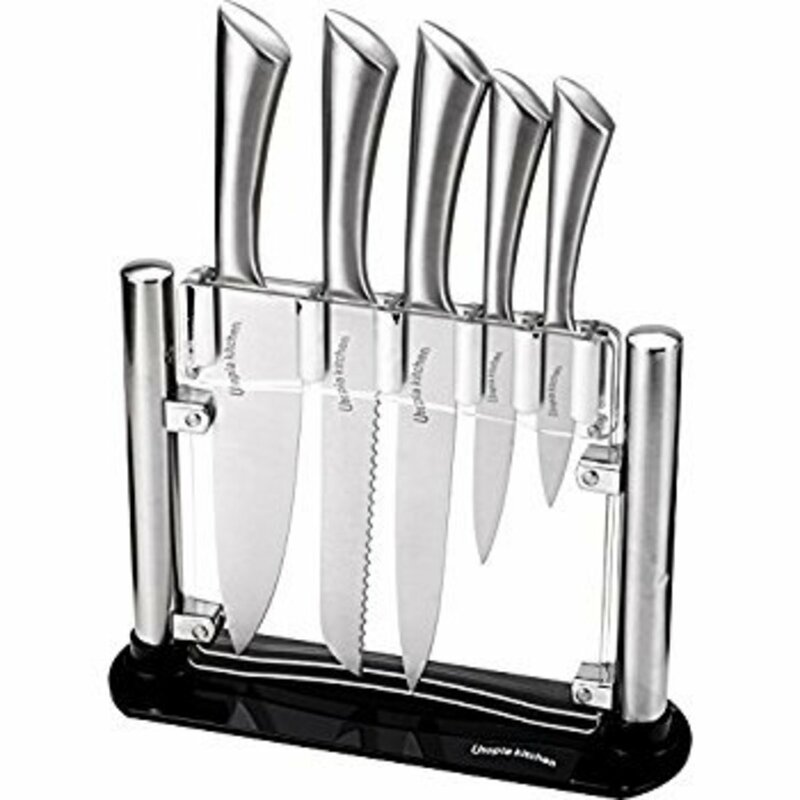 Because of its resistance to contaminate and toxins, this knife set might be perfect for a large percentage of home chefs. Since ceramic blades are lighter in weight than metal blades, they're resistant to oxidation and wear. But being brittle, they need to be treated gently to avoid snapping. I have used Chicago Cutlery products for many years -- in fact, this manufacturer is probably my own top choice for every day food prep. The high carbon steel blades do need care to avoid staining (see section on HCS blades). This particular set is a classic Chicago Cutlery product. The professional-quality, high carbon blades feature Taper Grind technology. According to the manufacturer, this feature provides optimum sharpness for precise cutting and make them easy to re-sharpen. Professional high-carbon stainless steel forged blades come with black "comfort-grip" poly handles. High-carbon stainless steel, which is a blend of high carbon and stainless and features some of the benefits of both, creates a stronger, harder blade resisting stains, rust and pitting. External reviews, including those from users who work in the restaurant industry, focus on the sharpness and durability of the blades (a Chicago Cutlery specialty). Balance and weight are also cited. In general, this Chicago Cutlery set is regarded as a solid investment. HCS blades are recognized as the gold-standard in kitchen knives, and in cutting implements in general. High carbon blades have been around longer than stainless and ceramic blades, which have the benefit of being more rust resistant. But high carbon steel holds an edge through heavy use, and they're generally easier to sharpen as well. These "old-school" blades are also more durable and less prone to breaking. Ceramics are not steel blades at all, which places them in a difference category, with different benefits and drawbacks. One benefit of ceramic blades is their durability -- they seldom need to be sharpened, and hold a razor-sharp edge nearly as long as high-carbon steel blades. 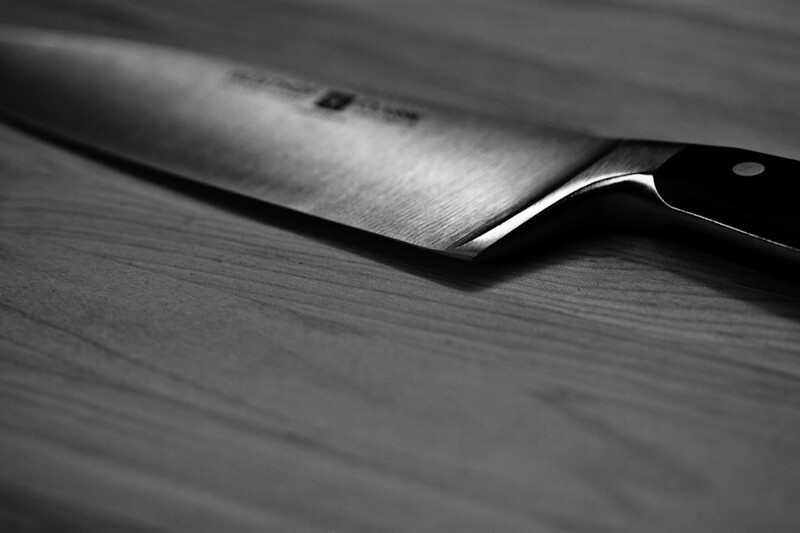 Ceramic knives are also resistance to rust and stains from contact with acid-based foods. 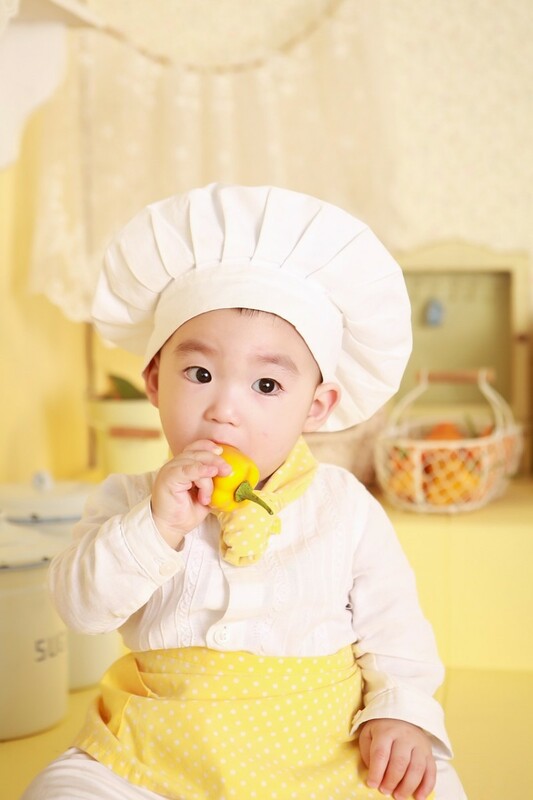 The blade of a ceramic kitchen knife is a high tech material, zirconium oxide, or zirconia; this material is nearly as hard as diamond, and is considerably harder than steel. Because it's so hard, it can be difficult to sharpen -- but I have found several good-quality sharpeners made for this very purpose. 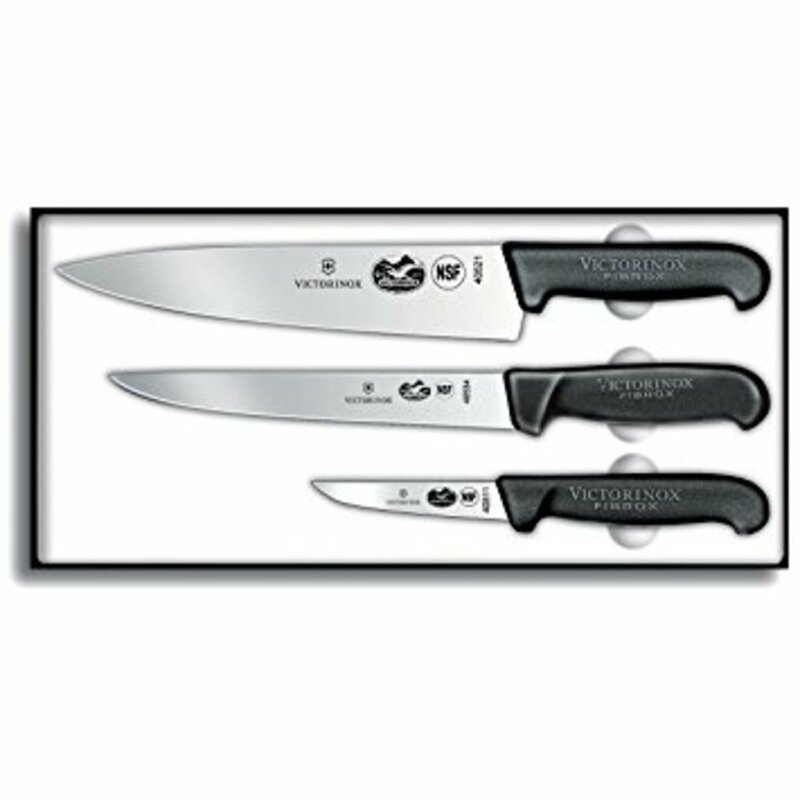 The Victorinox 46892 knife set is one of the top-rated and highest quality knife sets on this list. The high-carbon stainless blades provide maximum sharpness and edge retention, and are stamped from cold-rolled steel for a lighter heft. The blades are conical ground lengthwise and crosswise for minimal resistance while cutting, and are laser tested. The handles on the Fibrox line are a major draw for this brand; they are textured, slip resistant, and ergonomically designed for balance and comfort. The handles on these knives are NSF approved. As should be expected, this level of precision and quality commands a higher price than the other sets on this list. For those looking for a serious set of blades that are precision engineered and built to last, Victorinox is an excellent choice. As with many of the high-quality knife sets in this list, hand-washing is recommended. 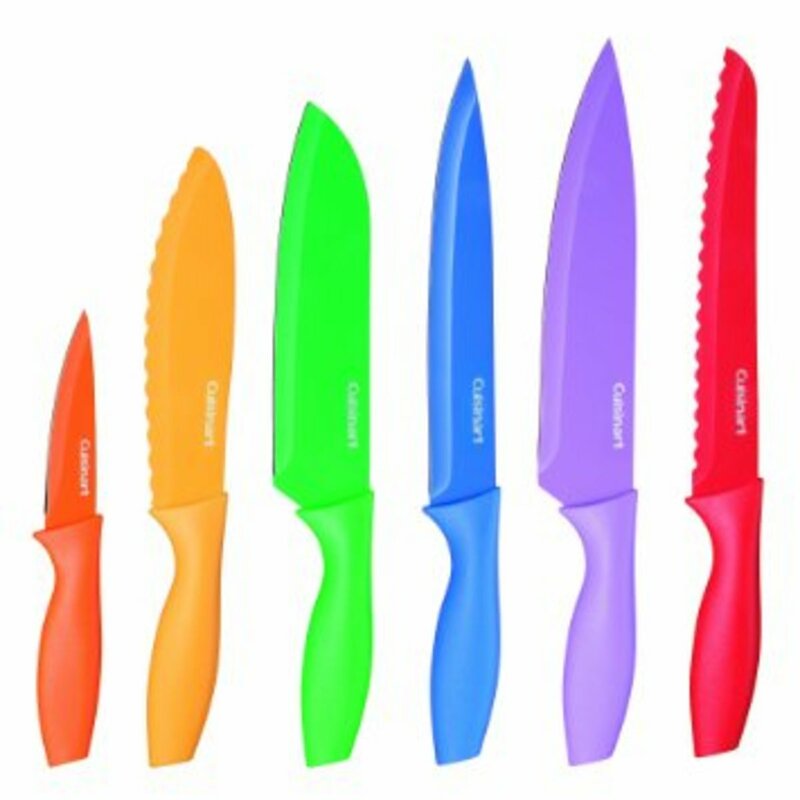 Top Chef makes a number of quality, high-rated kitchen knife sets. This complete set is well-reviewed, high quality, and affordable. Top Chef, of course, is a top-rated TV show on the Bravo Channel. Top Chef knives feature an ice-tempered stainless steel blade with precision cut sharpened cutting edge, hollow ground to reduce sticking; they also sport a full steel handle with seamless bonded and polished bolsters. The blade is "full-tang," meaning the metal extends through the handle. Full-tang knives are virtually indestructible and won't snap off at the blade due to repeated stress and pressure of everyday use. Professional cooks will generally not even use a knife that doesn't have this feature. These "hybrid" blades do combine the rust-resistance of stainless with the edge-holding durability of high carbon. However, as one would expect, these knives also possess the negative qualities of both, but to a lesser degree. 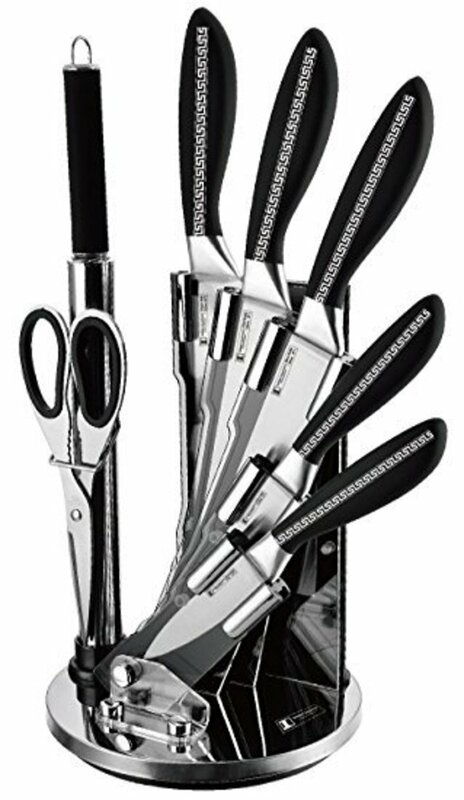 This high-quality knife set features a high carbon stainless blade and an ergonomically designed handle. 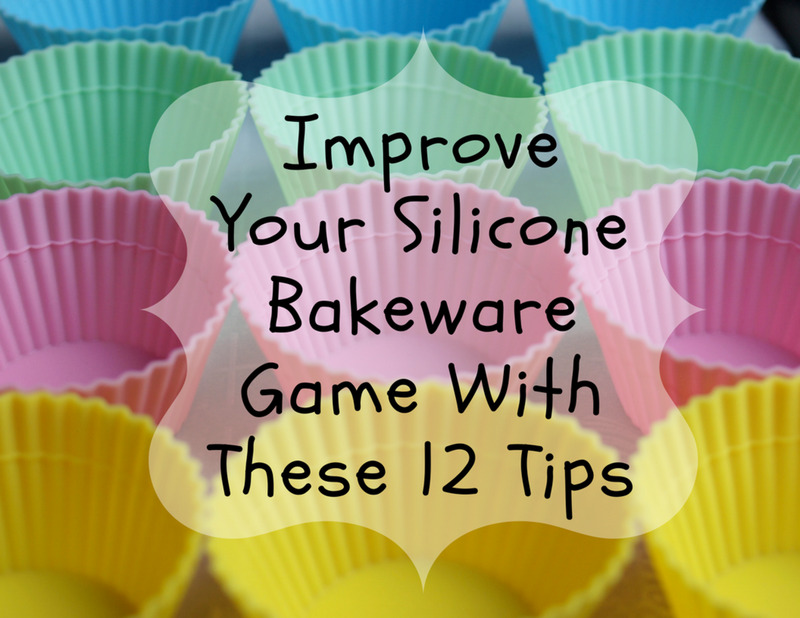 The blade surface makes it exceptionally easy to clean. I have had knives with hollow handles that I liked, but I have had hollow-handle sets that felt light in the hand. If you do a lot of prep work, a light knife might make the work a little easier. This knife set is on this list partly for its ergonomic design, which suggests the comfort and balance in the hand that would make long tasks easier. This set of blades comes with a lifetime warranty. Every kitchen needs knives, and every chef worth his salt and pepper knows that a quality knife set is absolutely essential to their work. This article listed the best knife sets according to reviews by the people who have actually used them. We have looked at affordable quality sets meant for the everyday family cook, as well as top-end blades that cost a bit more but cut a bit sharper. From steel quality, size, and durability to balance and edge, there a many things to consider when buying a new set of kitchen knives. For the everyday family cook these considerations may not be as important as they are for serious chefs, but no matter who you are or what your work involves, quality matters. I hope this guide helped you make a decision about your next knife set.